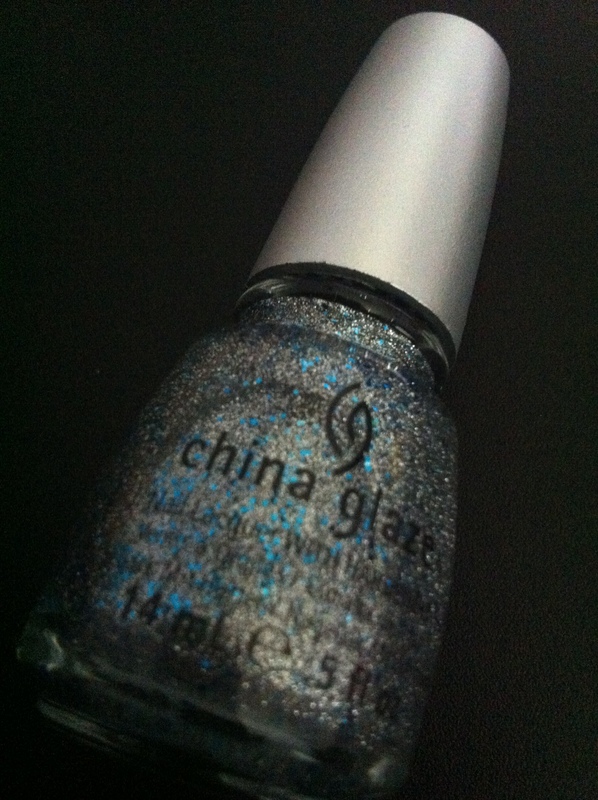 This is the color i choose for this week’s nails! and again i did sth simple that anyone can easily do it.. a fading effect.. This is the fading effect.. i believe everyone has the same issue here.. REMOVING glitters is a headache!! hahaha but y do i still choose glitter?? hahahaha! because i planned to go for a nail spa someday after my pay day and i decided to let the nail therapist remove them for mi! hahahahaha! CLEVER me!! How to do a fading effect (some call it a 2-tone when using 2 colors)? simple! i think fading effect is the easiest ever! First! choose any colors u wish to apply, need not be glitter..
Then paint the top half of your nails with the colors you chose (no need to be so precise here). When it ready, apply 2nd coat slightly more then half of your nails (covering your first coat). Now, before its almost dry up, make use of your polish brush, make it slightly drier (less lacquer on it!) than how u normally apply polish, then you dot it on your nails (the area between ur plain nails and colored nails) to make to fading effect..how far u want it to fade, depands on individual.. Finally use a top coat to lock the colors and make it more shiny! 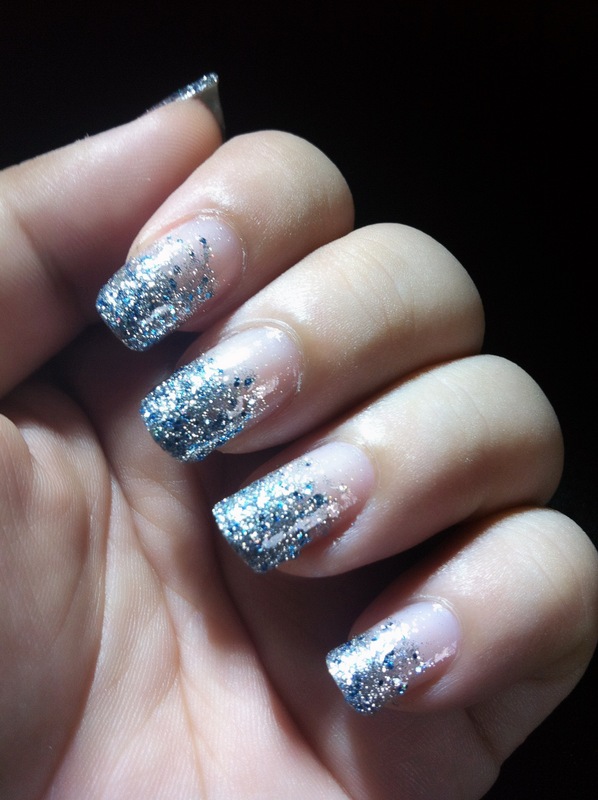 if you are using a color polish (not glitter one one), i would recommend you to use a glitter top coat.. as it can enhance your nail art.. but if u are already using a glitter polish to do this (like me now), a normal top coat is good enough. Probably next time when i have the time, i can do a pictoria post on this.. not too difficult, really!